Snoring remedies have been around for ages. And if you’ve had struggles with snoring at any time during the last few decades, chances are you’ve tried a few anti-snoring pillows. It’s even possible that the ones you tried didn’t work for you, and you just gave up on them. But hold on a minute. Some anti-snoring pillows are better than others. And thanks to improvements in design and technology, the anti-snore pillows on the market today are leaps and bounds ahead of the ones made 10, or even 5, years ago. Then, of course, there are anti-snoring smart pillows, which are a whole new ballgame. Thanks to their advanced technology, anti-snoring smart pillows can tell when you’ve started to snore. (That’s what makes them “smart.”) Then these pillows take some gentle, specific action that will reduce your snoring, or even stop it entirely. Anti-snoring smart pillows are definitely more cutting edge than traditional anti-snore pillows. But even an anti-snoring pillow that isn’t “smart” can be a comfortable, non-invasive and effective solution to your snoring problems. Below, you’ll find reviews for two popular anti-snoring remedies. One is “smart” solution, while the other is a more traditional anti-snore pillow. And both products have received rave reviews from happy users. But which of these anti-snoring solutions is the best? Up next is the Smart Nora Pillow Insert, which is probably one of the most well-known anti-snoring products on the market today. In fact, Oprah Winfrey chose the Smart Nora as one of her favorite things of 2017. There are a lot of snoring remedies out there, like nose strips, straps and mouth guards. And these remedies can work. But not everyone will find them comfortable or convenient. Well not only will Smart Nora reduce or eliminate your snoring, but it’s comfortable, easy to use, and non-invasive. Smart Nora was developed by designers and engineers who have worked for and with some of the top design firms in the world. 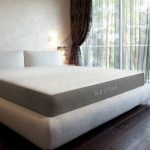 They developed this smart pillow insert in collaboration with some of the world’s leading sleep researchers and scientists. As a result, they have created a product that has relieved the snoring woes of tens of thousands of happy customers. 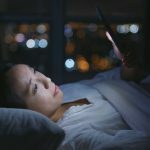 Not only has Smart Nora drastically improved the quality of their sleep, it has also improved their quality of life. 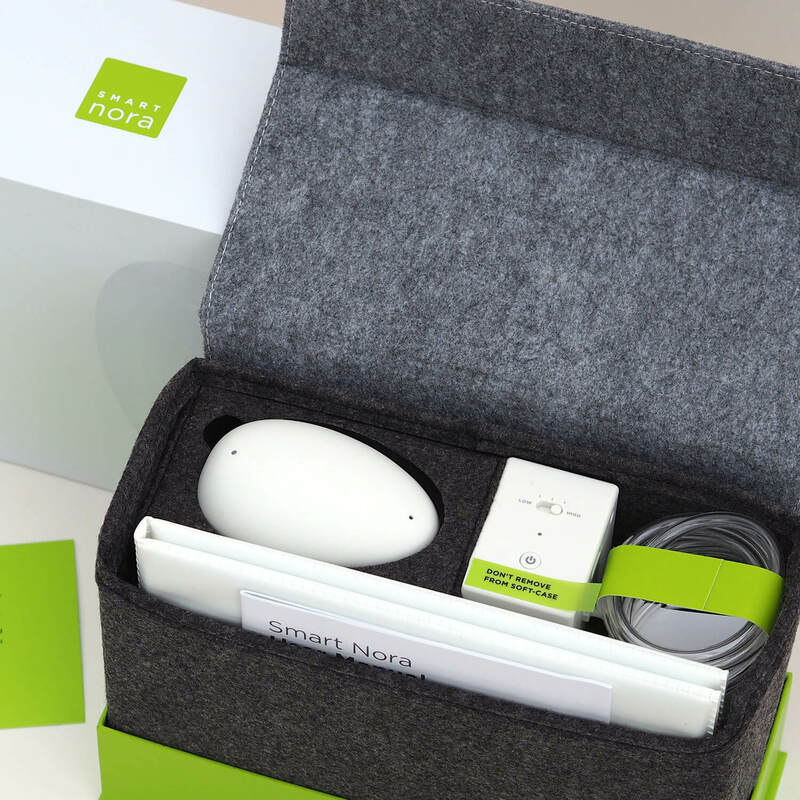 Here’s how the Smart Nora Pillow Insert is works. 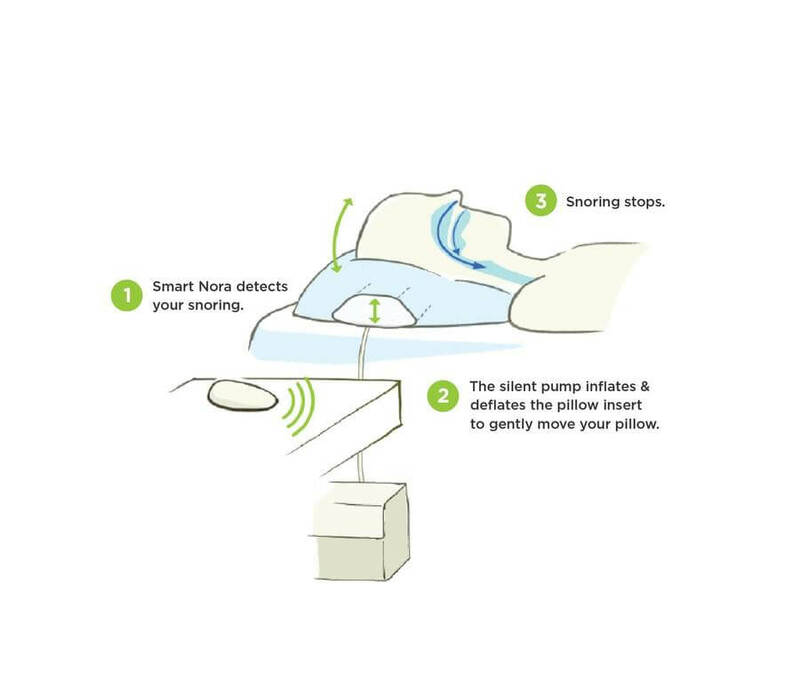 Smart Nora tackles one of the primary causes of snoring, and that’s the tightening of your airway that can occur when your throat muscles relax while you sleep. 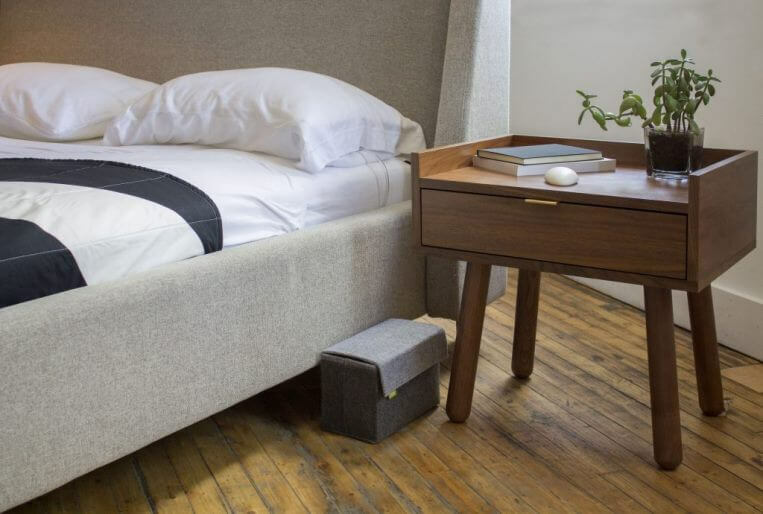 As soon as Smart Nora detects that you have started to snore, a silent pump inflates and deflates the pillow insert, which very gently moves your pillow. This movement stimulates your throat muscles and eases your breathing. As your breathing returns to normal, either the intensity of your snoring will decrease, or you will stop snoring altogether. All of this happens without you ever waking up. The movement of the pillow is so gentle that it won’t interrupt your sleep. And Smart Nora catches your snoring early, before it gets loud and severe enough to wake you or your partner. Another bonus is that, unlike with most traditional anti-snoring pillows, Smart Nora allows you to sleep in any position you want. Whether you sleep on your back, on your side, or on your stomach, the Smart Nora will work for you. 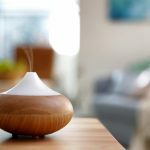 Now, it’s true that the motion of the Smart Nora can take some time to get used to, which is to be expected when trying something new. Most customers say that, within 5 days or less, they didn’t even notice the motion of their pillow anymore. A pillow that’s comfortable to someone else might not be all that comfortable to you. With Smart Nora, you get to use your own pillow. 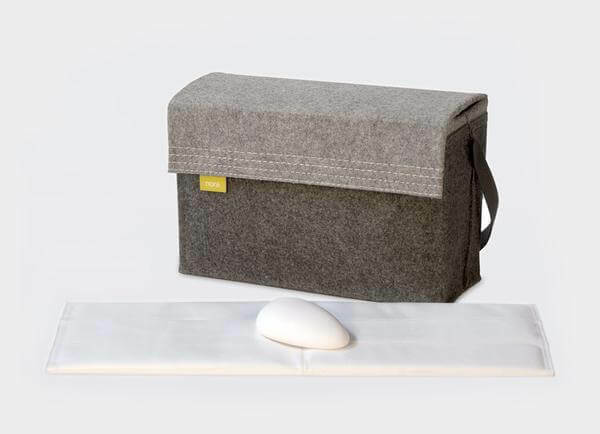 Just choose a pillow you find comfortable, and the Smart Nora insert will turn it into an anti-snoring smart pillow. Smart Nora is covered by a limited, 1-year warranty that starts on the day of delivery. You can also try Smart Nora risk-free thanks to the 30-Day Satisfaction Guarantee. If you aren’t completely satisfied with your Smart Nora, return it within 30 days of receipt and you’ll get a full refund. You won’t even have to pay return shipping. Instead, after you request a refund, you’ll be sent a pre-paid shipping label, so return shipping won’t cost you a penny. When you return some anti-snoring smart pillows, they will refund most of your money, but you’ll have to pay return shipping costs and a restocking fee. But if you return your Smart Nora, you don’t have to worry about any hidden fees. Shipping is free to the U.S. and Canada. And you won’t have to wait long to enjoy the benefits of using your Smart Nora. Just place your order, and it will be shipped the next day. And you can expect delivery within one week. Customers have great things to say about the Smart Nora Pillow Insert. One buyer, who has had his Sleep Nora for about a year, said he bought it thinking it actually working was a long shot. Not only does Smart Nora work, his wife no longer complains about his snoring. Another customer was skeptical about how effective the Smart Nora would be. But after using it, she’s happy with the results. She says that no one can hear her snoring anymore, and she now sleeps through the night. And another user praised how quiet Smart Nora is. He also appreciates how easy it is to take with him when he travels. And he really likes that his Smart Nora Pillow Insert takes just a few minutes to set up. First up is the Level Sleep Restore Anti-Snore Pillow, which is touted as “the Anti-Snore, Anti-Wrinkle, Pro-Comfort Pillow” on the company’s website. How good is this anti-snoring pillow? Well, in clinical trials at Stanford University, the Level Sleep Restore pillow was shown to reduce snoring by 78%. And the design of the pillow has seen many improvements since then, meaning it’s now even more effective. The Restore Anti-Snore Pillow helps to correct the positioning of your neck, so it maintains a more natural alignment as you sleep. Whether you sleep on your back or on your side, a natural neck alignment will improve airflow, which will reduce or eliminate your snoring. The pillow also reduces the strain on your neck, so you’ll wake up with fewer aches and pains in the morning than you’re probably used to. And throughout the night, you’ll enjoy a deeper, more restful sleep. 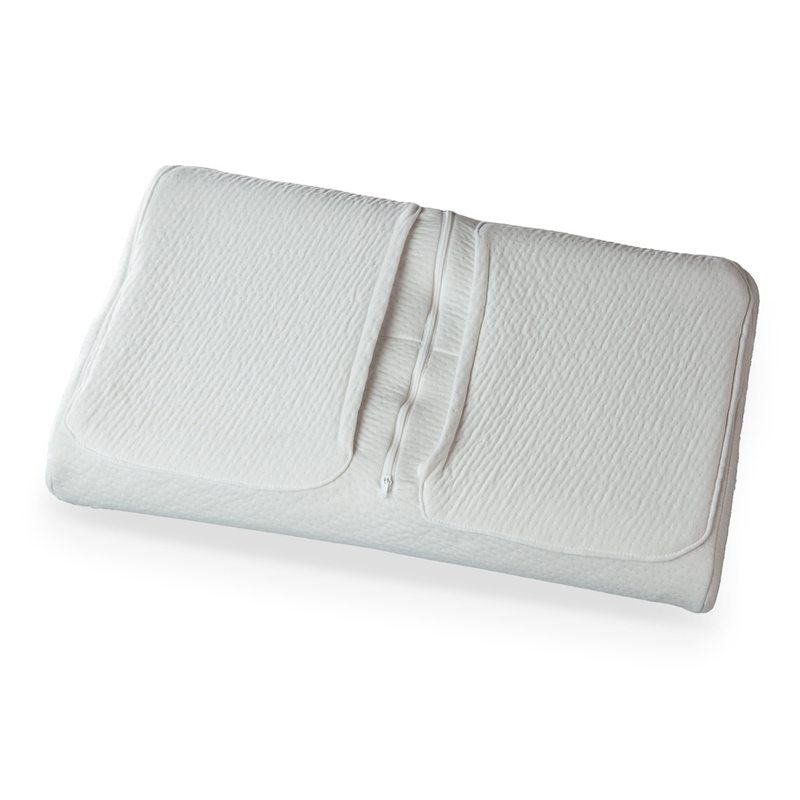 The Restore Pillow has a patent-pending, ergonomic design, and was made with comfort in mind. For example, if you’re a side sleeper, you know that having your ear pressed against a pillow for several hours every night can be uncomfortable, if not downright painful. But the Level Sleep Restore Anti-Snore Pillow has ear wells that will take most of that pressure off of your ears. The ear wells also help keep your skin from buckling. So not only is this pillow an effective snoring remedy, it can also help to prevent wrinkles. For even more comfort, you can custom adjust the pillow in two different ways. First, you can choose between two support levels. Just decide for yourself whether you need more or less support, and you can easily adjust the pillow accordingly. You can also adjust the height of the Level Sleep Restore. If you like to sleep with your head closer to the mattress, you can lower the pillow by removing one or both of its level inserts. If you like a taller or plumper pillow, leave one or both inserts in place. 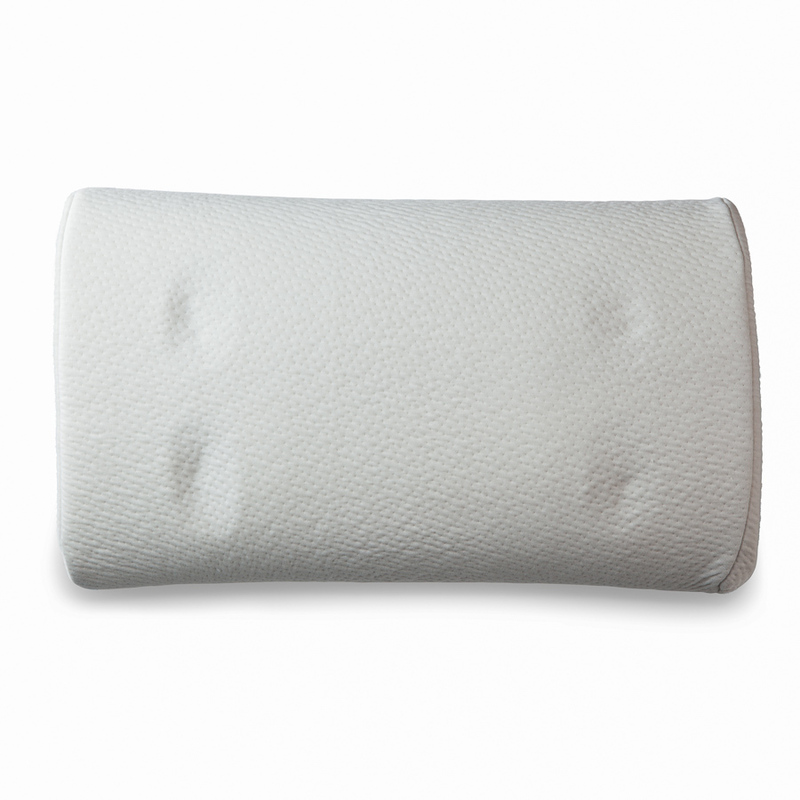 The Restore Anti-Snore Pillow has been cleared by the FDA for both snoring and mild obstructive sleep apnea. 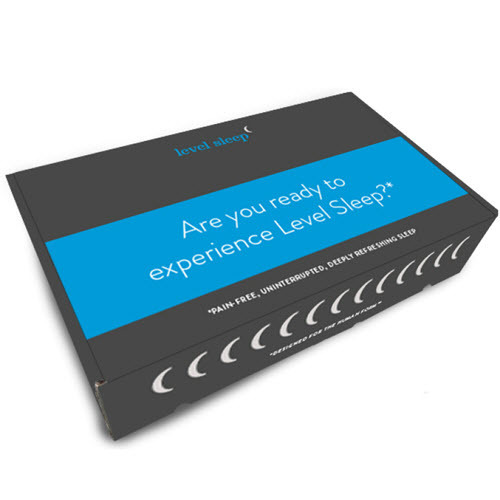 Manufactured in the USA, the Level Sleep Restore is made of non-toxic, high quality materials. The pillow itself is made of Poly Urethane foam. And the cover is made of Recoveree stretch polyester, a material that’s thick, durable and breathable, all good things when it comes to quality bedding. Taking care of the Level Sleep Restore is simple. To clean the cover, just remove the level inserts and foam pillow. Toss the cover into the washing machine, and wash using the gentle cycle. Then move the cover to the dryer, and tumble dry on a low setting. To clean the pillow itself, just wipe it with a damp cloth, then let the pillow air dry. The folks at Level Sleep are confident users will be happy with the Restore Anti-Snore Pillow. In fact, each pillow comes with a 110-Night Better Sleep Guarantee. Think of it as a chance to try the pillow out for several months, in the comfort of your own home, at no risk. If you are unhappy with the Restore Pillow for any reason, just return it within 110 days and you’ll get a full refund, no questions asked. 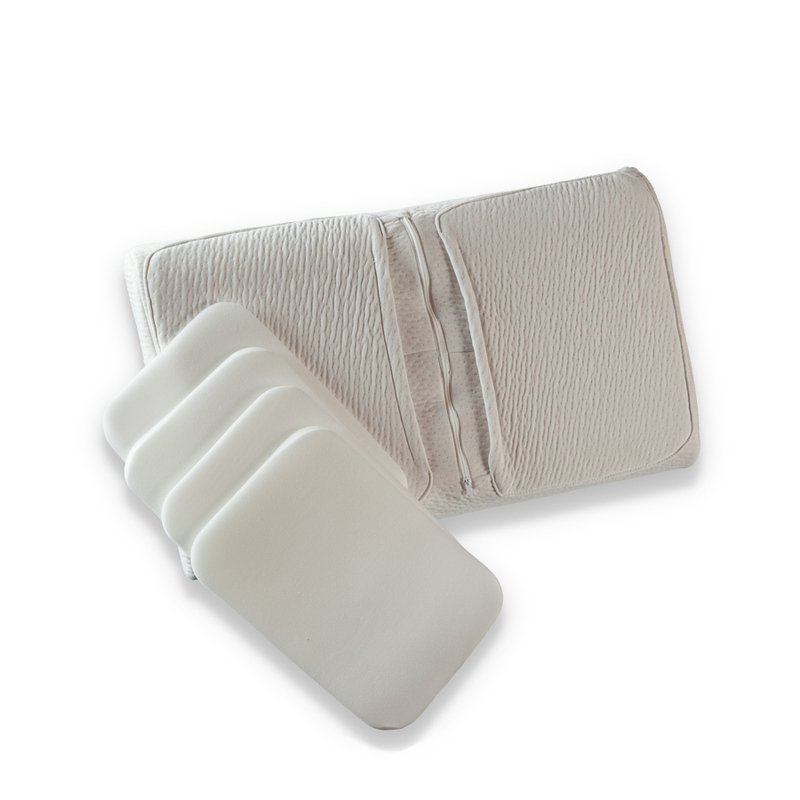 When you order a Level Sleep Restore Anti-Snore Pillow, shipping is free. Not only that, but if you order using our exclusive coupon code, you’ll get 10% off the purchase price. And, just like that, you’ll get the discount. The Level Sleep Restore Anti-Snore Pillow has many happy users, as proven by all of the positive customer reviews. According to one buyer, she was extremely skeptical about the Level Sleep pillow. In fact, she thought all the praise the product was getting was too good to be true. But, since trying the pillow for herself, she’s become a believer. She went on to say that, in the past, her husband didn’t get much sleep due to her snoring, and often woke up grumpy as a result. But the first night she used the Level Sleep Restore, she didn’t snore. Not only that but, when she woke up, her neck and back weren’t sore the way they usually were. Another user said she’d tried several different snoring remedies, including other anti-snoring pillows. But the Level Sleep pillow outdid them all in terms of effectiveness. She’d done a lot of research before deciding to buy the Restore Anti-Snore Pillow, and what finally convinced her was the fact that it was endorsed by so many chiropractors. And one customer said he hasn’t snored since he bought his Level Sleep Restore Anti-Snore Pillow…which has made his wife is extremely happy. Have you tried a lot of snoring remedies without success? Or did you find a remedy that worked, but it wasn’t comfortable or convenient to use? If so, an anti-snoring pillow might be just what you’re looking for. 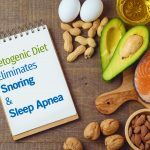 Both traditional and “smart” anti-snoring pillows have proven to be comfortable, non-invasive and effective snoring remedies for countless snorers. But, between the Level Sleep Restore and Smart Nora, which of these anti-snoring solutions do we think is the best? While there’s much to recommend the Level Sleep Restore Anti-Snore Pillow, our top pick is the Smart Nora Pillow Insert. When using an anti-snoring pillow, comfort is always an issue. And while the Level Sleep Restore pillow is adjustable, there’s no guarantee it will be comfortable to every user. You might be among those who find this pillow perfectly comfortable to sleep on. Then again, you might not. 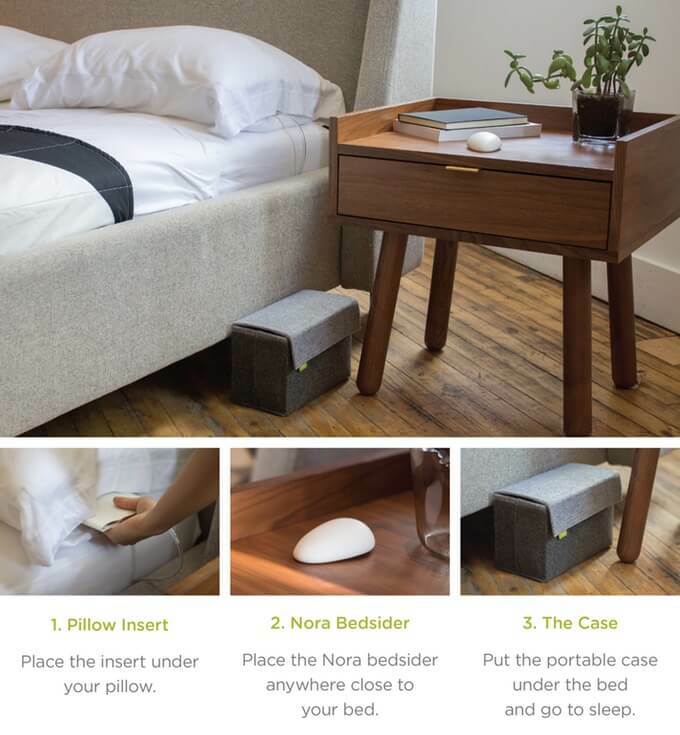 With the Smart Nora Insert, you can choose the pillow you use. If you love your current pillow, chances are you can use it with Smart Nora. And if you decide you want a change, you can use Smart Nora with a brand new pillow. In fact, you can change pillows as often as you like and still use your Smart Nora. Smart Nora also has a better return policy. If you decide to send the pillow insert back, you can do so without having to pay return shipping costs or restocking fees. While you can return the Level Sleep Restore Pillow for a full refund of the purchase price, there are some cases where you might have to pay for return shipping. 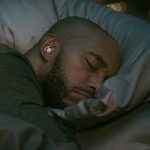 But whether you choose the Smart Nora Pillow Insert or the Level Sleep Restore Anti-Snore Pillow, one of these popular and proven anti-snoring solutions could be your key to blissful nights of peaceful, uninterrupted sleep.